Now in its seventh generation, the 2015 Hyundai Sonata is attempting to square up buyers who want a little more luxury without breaking the bank. On that, the all-new Sonata delivers. The sport model drives in automatic or standard and eco are nice features. Problems: we I bought the car it had several problems. I have my car for 3 weeks and something went wrong with the engine. It took a month and a half to fix. The part I needed was on back order so the had to take the part off another new part to fix it or it wouldn't be fixed for at least 3 months. The passenger window motor kept going out. It went out 3 times within one year. 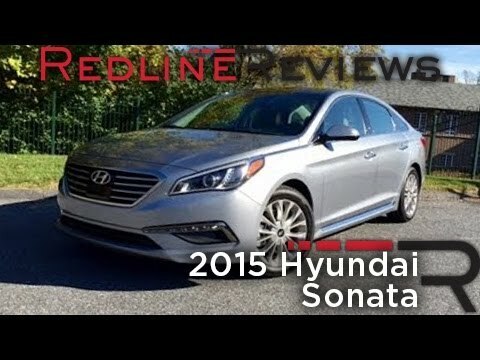 Performance: the car is a Sonata sport so that is a good performance feature the I use often. Reliability: other than the first problem I had, I rely on the newness of the car. The car also has a bumper to bumper warranty so I have confidence that the car will be fixed Accordingly when a problem arises. Comfort: when taking long trips the car is comfortable about 4 hours into the drive. Features: the car has several extra features but I do not use them all. When I bought the car the salesmen didn't show us all the features that the car had. I am still learning about the features from time to time or by word of mouth. The features are very hard to navigate. They should be easier to navigate by yourself without having to read the manual, looking on YouTube or asking someone how things work. I know there are more features on the car that I am not aware of. Sonata has a wide tuning range easier to park and get out of tight spaces. The Hyundai Sonata is roomy has a smooth ride is very easy to park because the wheels have a wide tuning range they turn more than some other cars making it easy to turn into small spaces & get out of tight spots when you parallel park and the cars in front & in back of you box you in. It is good with gas mileage and has quick pick up getting on to a highway. The doors open very wide so it easy 2 put things in back seat. The front end of car under the hood near dashboard has a strong steel piece across it, which prevents the car, in a front end crash, being pushed into the dash board and into the people in front seat. A excellent safety feature. I have not had any major problems except 1 time with not being able 2 use the voice activated cell phone answering. I was unable to answer my phone thru the Bluetooth feature. It did work again after a while with that problem. Amazing ride at an affordable price! I love my Sonata! It is beautifully designed at an affordable price. I also appreciate that the factory warranty offered is 10 years/100k miles, which is far more than most car companies. My Sonata has Bluetooth features, including hands free phone calls and music capabilities. The full ceiling moonroof is one of my favorite features; I almost feel like I am in a convertible when I open the moonroof. By far, my favorite features are the heated & cooled seats and the heated steering wheel. The steering wheel heats up in minutes, keeping you from having to wear gloves during the cold months. It is also bluelink capable, allowing you to use an app on your phone to start and stop your car as well as turn the lights on and off. Thus far, I have had no issues with my car.